• Longtime Toronto Blue Jays ace Roy Halladay is excited that his former club will be playing in the postseason for the first time in 22 years. Earlier this morning, he sent out a congratulatory message to the Blue Jays on Twitter. “Congrats to the Blue Jays and their fans! It gives me goose bumps to imagine October baseball in Toronto! Very Proud!” he tweeted. • Josh Donaldson clubbed his 40th home run of the season in the Blue Jays’ 5-3 win over the Tampa Bay Rays on Friday. With that homer, Donaldson became the ninth player in Blue Jays’ history to belt 40 home runs in a season and only the third Blue Jay (joining Carlos Delgado and Shawn Green) to record 40 home runs and 40 doubles in the same season. From a fashion standpoint, he also became the first Blue Jays player with a man bun to sock 40 home runs in a season. • To put into perspective just how good Blue Jays reliever Brett Cecil has been over the past three months, his ERA up to and including June 21 this season was 5.96. Since June 21, it is 0.00. He has now made 30 consecutive appearances without allowing an earned run. • Bad news for those hoping that former Blue Jays ace Ricky Romero would revive his career in the San Francisco Giants organization. The 30-year-old left-hander signed a minor league deal with the Giants in May. After rehabbing from a knee injury, Romero went 0-2 with a 5.62 ERA and walked seven batters in eight innings in four starts for the Giants’ Rookie Level Arizona League squad this season. • Lost in the news about Berra’s death this week was the tragic passing of Walter Young, who played professionally in three Canadian cities, at the age of 35 of a heart attack. The 6-foot-5, 320-pound first baseman was chosen by the Pittsburgh Pirates in the 31st round of the 1999 MLB amateur draft and was later selected off waivers by the Baltimore Orioles. He became a fan favourite with the O’s triple-A Ottawa Lynx in 2005, when he batted .281 and socked 13 homers in 123 games to earn his sole big league call up that September. He hit .303 in 14 games with the O’s. 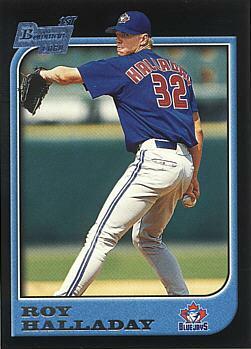 He’d later play with the independent Winnipeg Goldeyes in 2007 and the Edmonton Capitals in 2009. He passed away on September 19. At the time of his death, he was employed as a Lamar County school resource officer in his home state of Mississippi. • I recently stumbled across this list of players who have had the longest runs at .400 in a big league season (without finishing with a .400 batting average) and couldn’t help but notice how many Canadian Baseball Hall of Famers enjoyed extended runs at this magical number. Larry Walker (Maple Ridge, B.C.) carried a .400 average until July 17 of the 1997 season, while Tony Fernandez was hitting over .400 until June 28, 1999. Almost as impressive was 2010 Canadian Baseball Hall of Famer Roberto Alomar’s run that saw him batting over .400 as late as June 10, 1996. • This week’s trivia question: As noted earlier, Josh Donaldson became the ninth Blue Jay player to club 40 homers in a season with his home run on Friday. Can you name five of the other eight Blue Jays to hit 40 home runs in a season? Please provide your answer in the “Comments” section below. The first person to provide a correct answer will win a Josh Donaldson rookie card. Thanks for the comment, Devon. Yes, Cecil has been fantastic. Thanks for your kind words, Alicia. You are correct! Great job! I believe I have your mailing address on file. I’ll be in touch if I don’t have it. Thanks again for participating. Thanks for the kind words, Brent. Hope you are well. Great news about Brett C. I have always felt he was trying so hard..now he can say I really did it! Love that Yogi quote—have to rermember that for my funeral!! Thanks for the kind words. Yes, Yogi dispensed a lot of “accidental” wisdom. That .400 list is very interesting. I remember when everyone wanted to send Brett to AAA. Don’t hear that much anymore. Thanks for the comment, Scott. Yes, I remember some fans wanted the Jays to release Cecil. Of course, a few years ago, some fans wanted to get rid of Encarnacion too.